Eat chocolate, peanut butter and dessert and still lose 2 – 5 pounds per week in our medical weight loss program. Yes, you did read that correctly – you can eat delicious desserts and still lose weight in our medically supervised weight loss program. Hi everyone this is Dr. Kenny. And if you are one of our patients or if you are looking to be a part of our medical weight loss program and you are looking through this website you probably read one of my articles titled “Confessions Of a Medical Weight Loss Doctor”. In that article I discussed with you that I was diagnosed with diabetes a few months ago and how over the past months I have been able to decrease my blood sugar levels and lose a significant amount of weight at the same time. I want you to know that I have still been able to eat delicious food and even various sugar-free desserts while losing weight and decreasing my blood sugar levels. 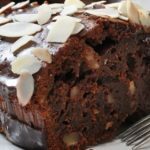 So in my continued efforts to make our weight loss program simple and delicious at the same time I am even more determined to find recipes that will help us all lose weight and maintain that weight loss.With all that being said here are a few of the delicious dessert recipes that I have been enjoying over the past months. I hope you enjoy them as much as I do. Mix all of the ingredients into a food processor until it smooth. Then pour the mixture into paper cupcake liners. You can sprinkle in almonds either whole or sliced and coconut shreds. Top with a touch of sea salt if desired. Refrigerate until solid and store in the refrigerator. This is so delicious. 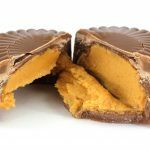 You have to make the chocolate and peanut butter separately for this recipe but it is totally worth it. Directions: Combine egg powder, salt, stevia and xylitol. In a separate bowl mix the peanut butter and butter together. Add the egg powder mixture to the peanut butter. Then stir until everything is smooth. Then pour enough chocolate in cupcake paper to coat bottom of paper. Spoon a little of the peanut butter on top and then cover with more of the chocolate mixture. You have to keep these in the refrigerator. I hope you enjoy these recipes. They do take a little bit of time to make but they are definitely worth it because they are delicious. If you would like to have more information about our weight loss program just call us at 215-821-7336 and schedule your free consultation. This entry was posted in Diet Doctors in Bucks County, Diet Doctors in Philadelphia, Medical Weight Loss, Medical Weight Loss Philadelphia, Weight Loss, Weight Loss Recipes and tagged "Philadelphia Diet Doctor", Appetite Suppressants, Medical Weight Loss Bucks County, Medical Weight Loss Philadelphia, phentermine philadelphia, philadelphia, weight loss, weight loss pills on March 5, 2015 by Dr. Michael Kenny.